This is the way of things in the industry: for every project that gets greenlit (even after twelve years of friggin' pre-production hell! Heartless dino-hating bastards! ), several more get turned down, sometimes even while already well underway, though such a situation is more exceptional since copious amounts of money have already been spent and publicity has covered the project in question so there is some general awareness around. Let's explore what might have went wrong with Term Life. It seems an interesting project, sure to find some kind of audience (though probably not as major as the studio had hoped for). It has a fairly solid plot which guarantees an appealing mixture of drama, action and humor. It's a graphic novel/comic book adaptation, which is all the rage these last few years (and that rage hasn't quite yet died down). However, Image Comics, though a well renowned and established company in the world of paper media (responsible for, among others, Todd McFarlane's Spawn, Michael Turner's Witchblade and The Darkness by Ennis & Silvestri), doesn't come with a brand name that screams 'hype', unlike its major competitors Marvel and DC. There's one problem for ya. Here's another: Vince Vaughn. Vaughn has done almost nothing but comedy (and not always good comedy at that) for over a decade. So could he be a compelling enough actor to also take care of the dramatic, emotional side of this story, as well as make a convincing action hero? Though he has dabbled in such elements of acting before in films as diverse as Into the Wild, Psycho (the remake, obviously) and The Lost World: Jurassic Park (which spawned no less than three action figures in his likeness; see my Jurassic Park Toy Review Archive for more details on that), his talents in both department remain limited, while most spectators can only see him as a comedic actor because of the overwhelming portion of said genre in his resumé, which would make it harder for the general - target - audience to accept him in a role like this. It seems the real talent would have been delivered by young actress Hailee Steinfeld, Oscar-nominated for True Grit. In this case the trouble is that film is basically the only stand-out title in her career, promising as it may be, but short as it yet is. True, she will soon be seen in the big budget Sci-Fi action flick Ender's Game, but as that feature has not yet been released it's too soon to pin a studio's hopes on Steinfeld just for that one. Term Life is no True Grit, so Steinfeld's participation also is not a guarantee for success. Nor is the intended direction by Peter Billingsley, whose curriculum vitae in that particular function also is far from impressive. His only feature of note in this regard is Couples Retreat, a comedy starring Vince Vaughn (and not one of his better ones), which brings us full circle to the matter of comedy versus other human emotions present in Term Life. Overall, there's many variables and risks present in Term Life a new studio executive would not have been comfortable with, sadly making it an easy target for premature cancellation to save a few bucks that can then be spend on sure-to-deliver blockbuster projects. In Universal's case, one of them being... Jurassic World! Josh Brolin's apparent soon-to-be-payed salary has to come from somewhere. And Brolin is an intriguing choice for JW. He has done similar genre projects before to great success in terms of his acting (Planet Terror, Hollow Man), while also having been a star in completely different types of film the likes of No Country for Old Men and Milk. His name brings audience recognition, Oscar-nominated past performances that transcend genre and an acting job that is sure to satiate execs' expectations. Every risk you have in Term Life is absent in his persona. Do I agree with cancelling Term Life? 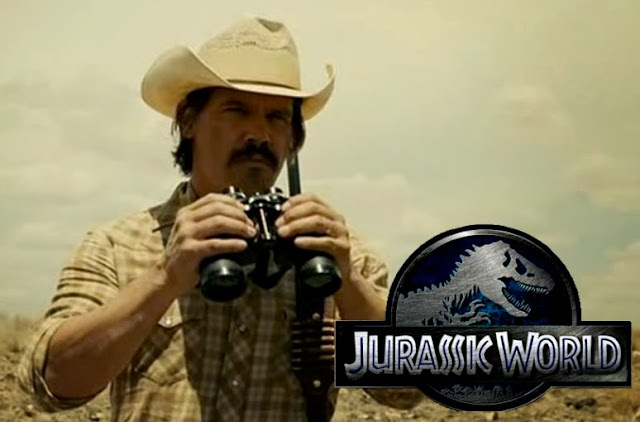 Not per se, but if its "insurance money" is pumped into Jurassic World's undoubtedly stellar budget, I'm all for it. All's fair in Love, War and Jurassic Park. Plus, Vaughn has already been involved in one of those, so now it's Brolin's turn.